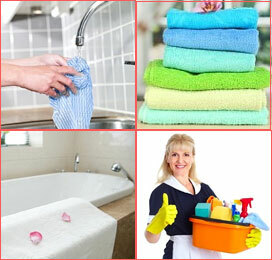 We have put together a few cleaning house cleaning tips for you. CRAYON MARKS. 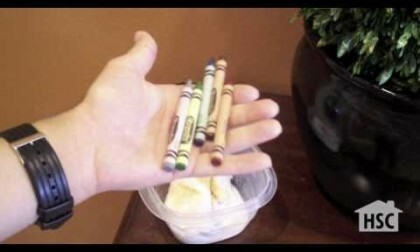 To remove crayon marks from painted walls, scrub with some toothpaste, rinse and dry. SOILED SHIRT COLLAR. To clean a soiled shirt collar brush a small amount of hair shampoo or washing up liquid onto the collar and then wash in washing machine. HAIR AND COMBS. To clean hairbrushes and combs, place them in a bowl of hot water and baking soda and leave to soak. Then rinse off with clean water. JEWELLERY. To clean your chains, rings, and earrings place them in a bowl of water, add 1 Alka-Seltzer tablet and leave them for a few minutes. Rinse and dry and see them sparkle. Note: Do not use on pearls or opals. STAINLESS STEEL. To clean stainless steel in your kitchen rub with a cloth dampened with white vinegar and then wipe dry. SPLASH-BACK. A little olive oil on a paper towel will make your splash-back look lovely without any streaks. SOAP DISH. To avoid your soap bar sticking to the soap dish apply a little baby oil to the dish. TOILET CLEANER. Put 4 Alka-Seltzer tablets down the toilet and leave for an hour, brush and flush.